The effectiveness of Manual Lymphatic Drainage (MLD) is supported by many scientific studies and vast clinical experience. • MLD helps to minimize scar formation. It refines and reduces scar tissue while restoring normal lymph flow. Lymphatic vessels have been shown to reconnect through scars after a series of MLD treatments. Our staff are Certified Lymphatic Therapists and are trained in-house in the applications of Advanced Lymphatic Therapy techniques. Lymphatic therapy can be scheduled for one session or in a series. Effectively drains tissue fluid. 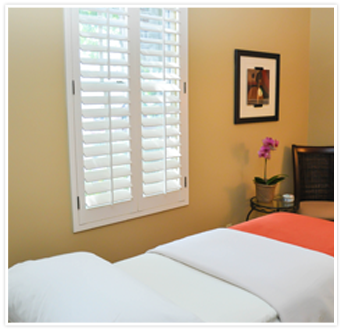 A relaxing treatment that leaves you with a sense of well being. For general detoxification. Examples: In conjunction with a diet cleanse, competitive training, pre/post surgery, injury recovery, anxiety/stress relief. This series is the European model for the ultimate in decongestive therapy. Recommended for more chronic conditions. We offer a discount on our treatment series. The full amount must be paid at the end of your first appointment to receive discount. To achieve the most benefit of a treatment series, we prefer to schedule appointments at a minimum of twice a week. Note: Series discount does not apply to our Lymphedema Treatment Program.